Enjoy the ambiance of Hawai'i in Arizona! Join our Hālau for an evening Hawaiian Lu'au, special fundraising activities, fun for keikis and entertainment emceed by ialoharadio’s Aunty Pi’i Lewis. 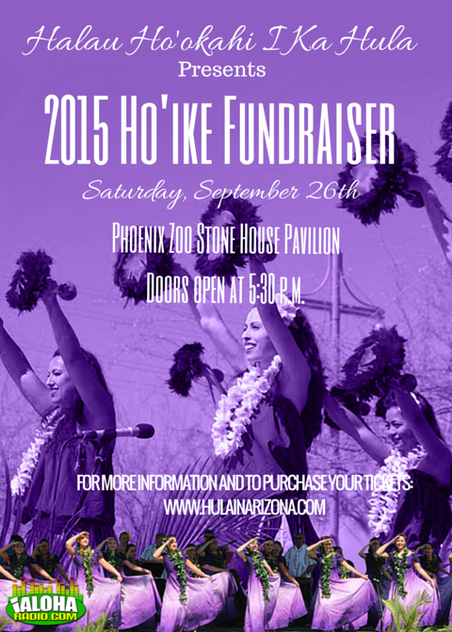 Ticket price includes Kalua pig roast dinner, and Hawaiian dessert selections. You can conveniently purchase tickets below. Please be advised of TicketBud's small processing fees. Hope to see you there! Aloha!